Madoff wants to enjoy the last months before sentencing as a free man. 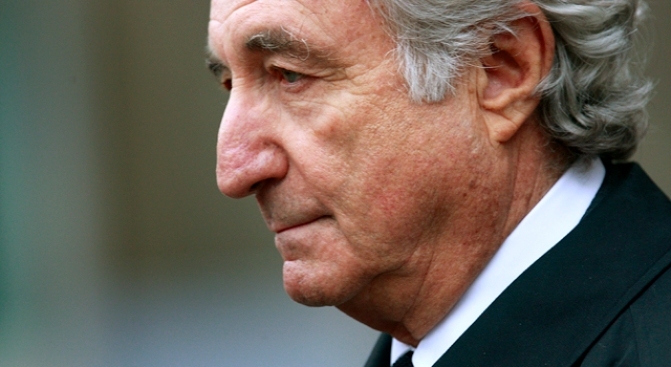 Bernard Madoff has launched an appeal seeking to be sprung from jail while he awaits sentencing after he pleaded guilty to masterminding what is believed to be the biggest financial scam in Wall Street history. The admitted swindler's attorneys filed an appeal Friday challenging a judge's decision to revoke his $10 million bail. They argued that Madoff never attempted to flee and that jailing him pending his sentencing was making it difficult for them to consult with him. Madoff was shuttled to the Metropolitan Detention Center Thursday after he fessed up to his role in the massive $64 billion Ponzi scheme. An appeals court is scheduled to hear the case next Thursday. Meanwhile Friday, new court documents show Madoff and his wife had a net worth of more than $823 million at the end of last year. The document shows the Madoffs owned four real estate properties worth $22 million and had $17 million in cash and a $7 million yacht, among other assets. Prior to his copping to the 11 felony counts, Madoff, 70, had been under house arrest in his $7 million luxe Manhattan flat. Sentencing is scheduled for June 16th. The disgraced financier is facing up to 150 years in prison and hefty fines.